If you plan to list your home in the Spring, there are steps you can take now that will help you get top dollar when it goes to market. Have a home inspection that will show areas where you need to make repairs. Use your home inspection report to create a list of things you need to repair and start the process. Pace yourself through the months leading up to your list date, and do a few repairs each month to keep expenses down. Paint - paint is one of the cheapest and most valuable maintenance tools in your toolbox. Floors - make sure your floors are in excellent condition. If you need to change carpet, do that after you finish painting. If your floors are hardwood and need a little sprucing up, you can use products like Bona to bring them back to life. Clean up the landscaping over the Winter months. Be ready for Spring with mulch in your flower beds, some new plantings and a manicured lawn. It's not necessary to eradicate every indicator that humans live in the house, but there are many things that can be packed away that might make it more show-worthy. If your home is a museum of family adventures, you may want to pack away some of the photographs, trophies, awards, etc., while the property is listed. Less is more in the case of home that is listed for sale. Pack away duplicate items that are sitting around. I have two juicers. I use each one for different types of juice. One on the counter would be plenty in a listing period. Keep clothes and shoes put away during showing hours. Clients don't need to be tripping over shoes, and they definitely don't need to see clothes strewn all around the house. The "lived-in" look is not in today. Pack the pup away. It's always nice if you can take you pets with you when you vacate for showings. I ran into a sweet dog in a crate this past Sunday. He was terrified at our presence. His discomfort made my clients uncomfortable. Make your home look like a photo out of a magazine by keeping it clean, well-lit, and staged. These are just a few of the ways you can get your house ready for a Spring listing. There are many more things you can do, but these few can get you started. 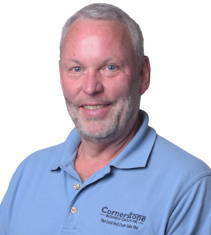 When you're ready to list, be sure to call Mike Cooper, principal broker at Cornerstone Home Sales. We are your local real estate sales pros. This post was originally published at www.winchestervarealestate.com: Get Ready to List Your Home in the Spring. #mikecoopesellshomes, #cornerstonehomesales, #winchesterhomesales, #yourlocalrealestatesalespros.